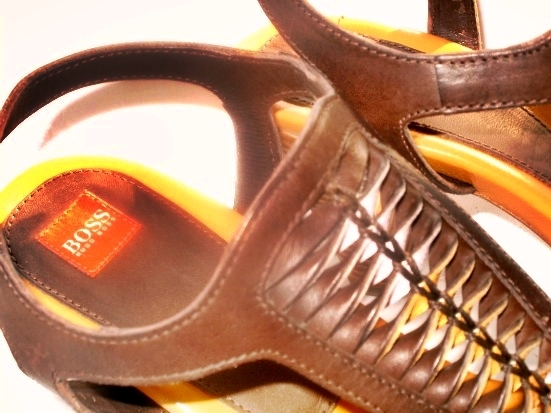 Some time ago I've bought this Hugo Boss Orange Shoes. Unfortunately I did not have much opportunity to wear them and I want to change it this year! The weather is obviously still not perfect for this, but I've been waiting much to the summer of 2012! Vor einiger Zeit habe ich mir diese Hugo Boss Orange Schuhe gekauft . Leider hatte ich noch nicht viel Gelegenheit sie zu tragen und dies will ich in diesem Jahr ändern ! Das Wetter ist natürlich noch nicht perfekt dafür , aber ich warte schon sehr auf den Sommer 2012! If you want we could follow each other through bloglovin and GFC let me know! Those are a tempting pair of shoes, but you should definitely wait until the summer! So beautiful!! Love it! Thanks for your lovely coment! Maybe follow each other? Hi jenny! I am following back on both! Dein Blog ist auch schön! Hey, danke für deinen lieben comment auf meinem Blog und für's Folgen! Tolle Schuhe! So happy i found your blog, definitely coming back, loving all your photos! Theres a lot of inspiration here since we have similar styles. Oh these are just too pretty! Wish I could have them too!